On May 5, 2007, two days into his twenty-seventh trip to the Boundary Waters, Stephen Posniak found a perfect spot on Ham Lake and set about making a campfire. Over the next two weeks, the fire he set would consume 75,000 acres of forest and 144 buildings. More than one thousand firefighters would rally to extinguish the blaze, at a cost of 11 million dollars. 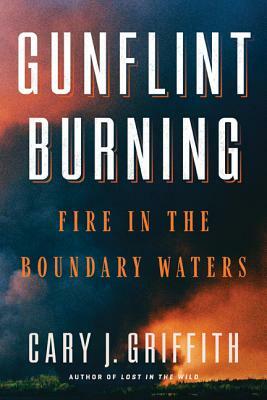 Gunflint Burning is a comprehensive account of the dramatic events around the Ham Lake fire, one of the largest wildfires in Minnesota history. Cary J. Griffith describes what happened in the minutes, hours, and days after Posniak struck that fateful match—from the first hint of danger to the ensuing race to flee the fire or defend imperiled property to the incredible efforts of firefighters and residents battling a blaze that lit up the Gunflint Trail like the fuse to a powder keg. We meet locals faced with losing everything: the sheriff and his deputy tasked with getting everyone out alive; tourists caught unawares; men and women using every piece of equipment and modern firefighting technique against impossibly high winds and dry conditions to suppress a wildfire as it grew to historic proportions; and, finally, Stephen Posniak, who in the aftermath tragically took his own life—the fire’s only fatality. In sharp detail, Gunflint Burning describes the key events of the Ham Lake fire as they unfold, providing readers with a sense of being on the front lines of an epic struggle that was at times heroic, tragic, and sublime. Cary J. Griffith is the author of four books, including Lost in the Wild: Danger and Survival in the North Woods; Opening Goliath, winner of the 2010 Minnesota Book Award; Wolves, winner of a Midwest Book Award; and Savage Minnesota, which was published serially in the Star Tribune. He lives in Rosemount, Minnesota.